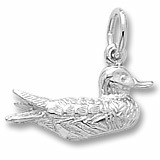 Rembrandt Charms Sterling Silver Duck Charm/Pendant. Go Ducks! 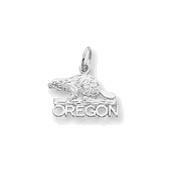 This is the perfect charm for the University of Oregon fan in your life, or for anyone who just likes cute water fowl. 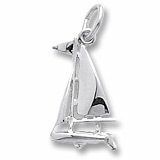 Rembrandt Charms is World-renowned for superb craftsmanship and a stunning collection featuring thousands of charm styles. 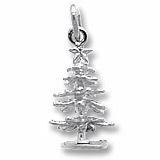 Rembrandt is a family-owned business that has been designing and manufacturing charms and charm bracelets for over 40 years. 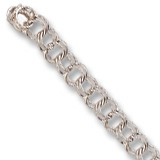 Each charm style comes in five different precious metals: sterling silver, gold plate, 10k yellow gold, 14k yellow gold, and 14k white gold.